Me and My Thoughts: It's been a while! Boy! Time has passed and I haven't been on here for a while. Life is busy but going great! I just celebrated my 45th birthday this past week! Sheesh! I can't believe that I'm 45! I'm ok with it but not ok with the fact that now it's way closer to 50!!! How did that happen? I had a great day celebrating my birthday. The day before I had lunch with my mom & sister-in-law at a great restaurant, Cactus Club! Such yummy food there! Then had dinner at my folks on my birthday and was spoiled. I got this gorgeous kettle from my folks. I've been wanting one like this forever! And it matches my kitchen perfectly - it's my favourite colour. I got this super fun little kitchen gadget from my hubby & kids called a Milk Frother (and some Baileys :)) I can now have lattes at home - it's so easy! PLUS it's turquoise!!! 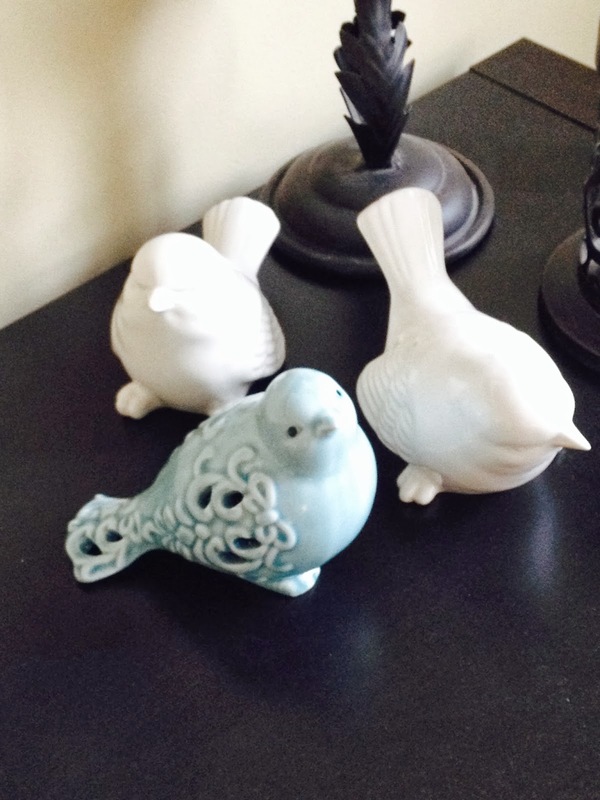 And my SIL and brother gave me this darling turquoise bird - again just perfect! Now .... on to some fun things around my home and Simple Stories. I've got a post up on their blog today. I'd love for you to go and check it out HERE!!!! Thanks for stopping by and have a super day!!! Happy Birthday Cari!! Add another to the list that isn't excited about that 50 thing (I'll be 46 in the spring... it is getting too close!!) 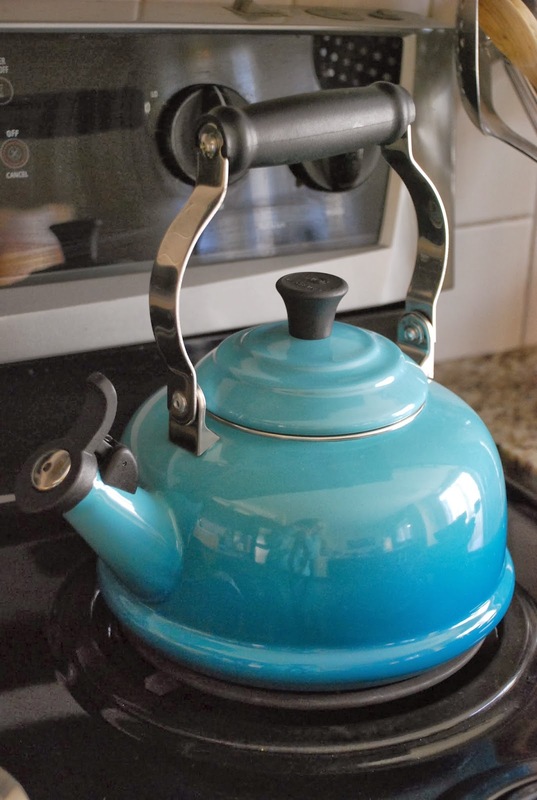 I love the tea kettle!!! I like your chore chart too! What a neat idea!! 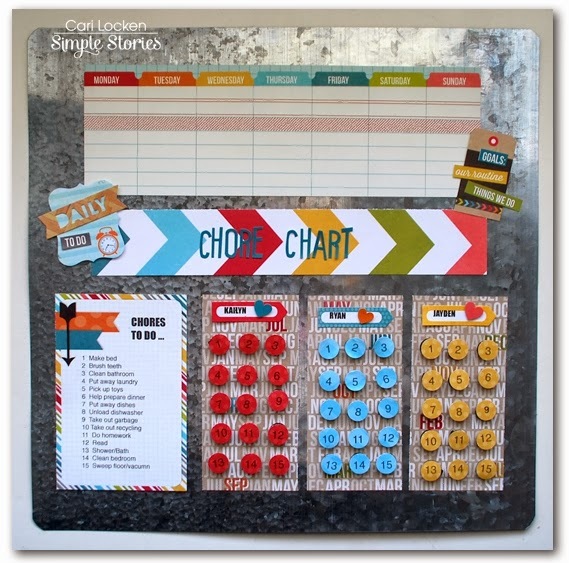 I have been wanting to make my 3 kidddos a chore chart and just haven't been fond of any I have seen. UNTIL I saw this. :) Thank you for sharing. I might borrow this idea.